. 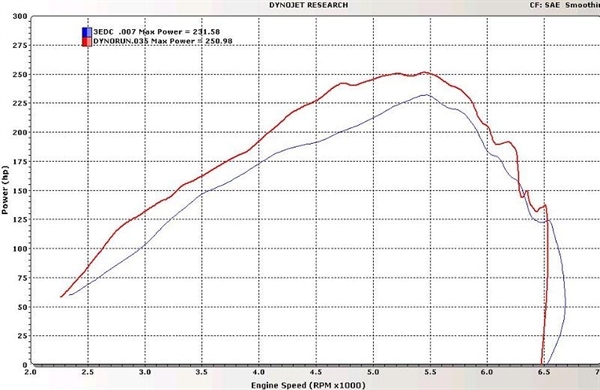 Knowing this, Custom Performance Engineering set out to engineer a MAZDA MPS3 Catback Exhaust System that features smooth mandrel bends and a muffler designed to minimize backpressure and promote faster spool up. 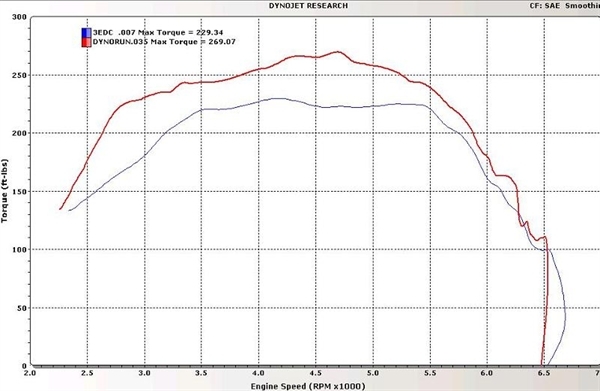 The dyno-proven results of this effort speak for themselves, with a broad increase of horsepower and torque across the entire operating range of the engine. The MAZDA MPS3 Catback Exhaust System is manufactured using polished 304 stainless steel. All tubing is made in the USA by the premier pipe manufacturer, RathGibson, and designed to last the life of the car. 12-inch Oval Muffler: Make your exhaust quieter with the 12-inch muffler or opt out and have it straight pipe and loud.6-inch Quad Core Muffler Axelback Section: The axelback section of the exhaust has the option to be straight pipe or 6-inch muffler welded in. 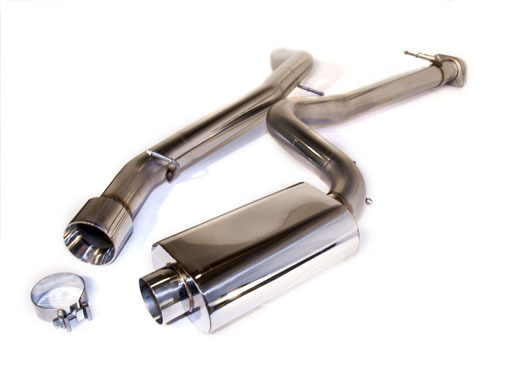 The 12-inch Oval muffler has been designed specifically for the MS3 application and is fabricated by hand in the USA. It is also constructed of 304 stainless steel, inside and out. Please note the quality of the _ inch locking stainless steel hangers, and the stainless steel bolts, nuts and washers. 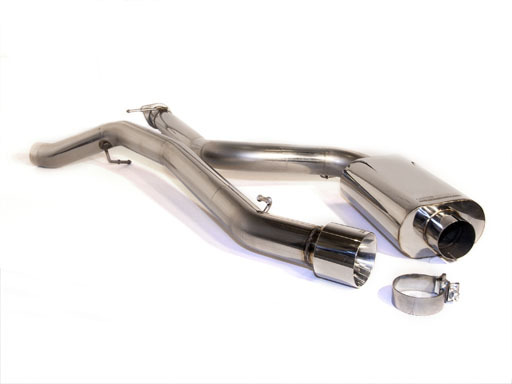 Just like the rest of our products, CPE has paid very close attention to the quality of materials and craftsmanship, yielding a product that we are proud to make, and you will be happy to own the MAZDASPEED 3 CP-E Exhaust Components. 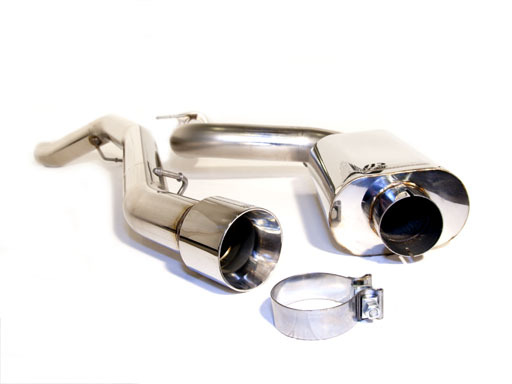 Catback kit includes 3-inch tubing, optional 12-inch Oval muffler, optional axelback 6-inch muffler, stainless steel band clamp, and gasket for stock downpipe.